Enjoy a spectacular San Diego Sunset. There is something peaceful and soothing about watching the sun go down, especially over the Pacific Ocean. 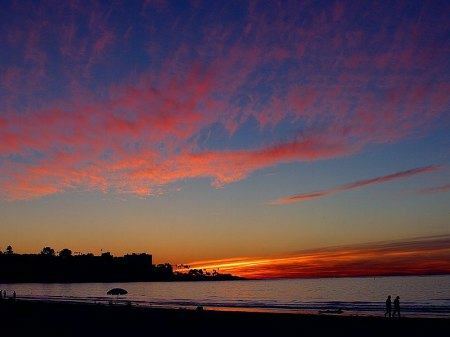 Here are some of our favorite San Diego beach pictures of the California beach at sunset. Enjoy a spectacular San Diego Sunset. 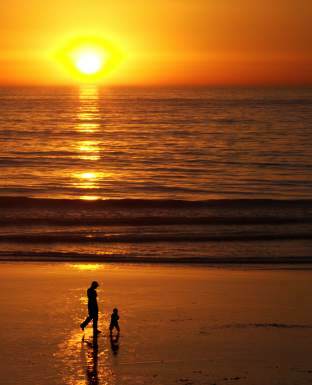 Here are some of our favorite San Diego beach pictures of the California beach at sunset. La Jolla, the jewel of San Diego Calif., is beautiful any time of the day, but offers some spectacular sunsets. This sunset over La Jolla Bay is taken from La Jolla Shores beach. 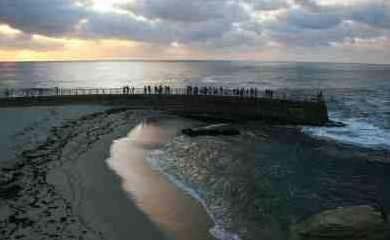 If the colony of harbor seals at La Jolla Children's Pool wasn't enough to make this worth a visit, the view at sunset is lovely. This beach photo of La Jolla Cove was taken from the La Jolla Coast Walk. Black’s Beach in San Diego is a hidden treasure beneath the bluffs of Torrey Pines. 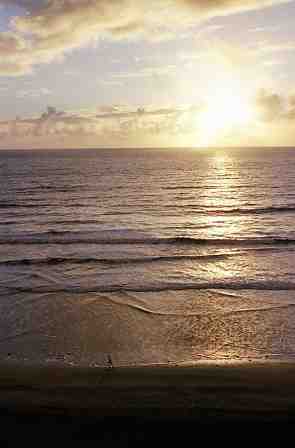 At low tide, it is a beautiful stretch of beach for running, especially as the sun sets over the Pacific Ocean. 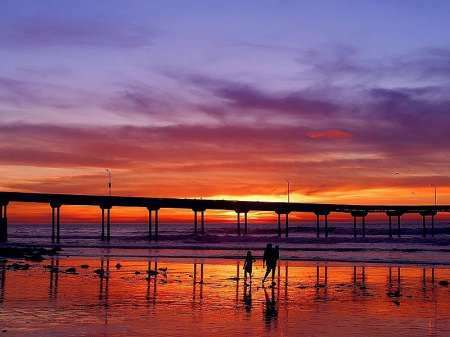 One of the many San Diego piers, like this one in Ocean Beach in the heart of SD, offers a great shot for a sunset pic. Another great sunset in San Diego.